Black pearl jewelry is the ideal gift for the elegant woman with a sophisticated fashion sense. Black pearl earrings aren’t just the easiest accessory to wear throughout the entire day, but also the mark of style and elegance in formal evening attires. With their timeless beauty and charm, pearls are key staples in a woman’s jewelry collection. Most pearls today are cultured. Nevertheless, this fact doesn’t take away a bit of their quality and beauty. If anything, it adds to the beauty and perfection of these fragile stones. Black pearls are some of the most luxurious pearls in the world. This is all the truer when it comes to Tahitian pearls. 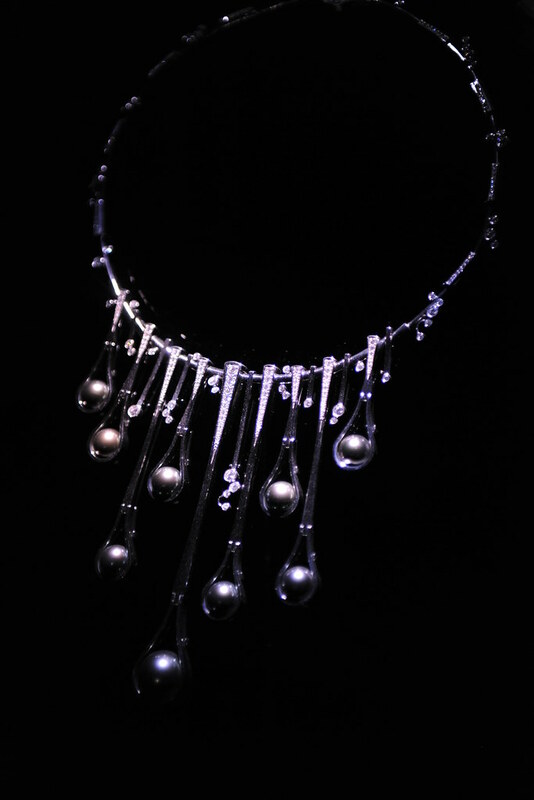 Tahitian pearls are the only pearls that acquire their dark color naturally. Their exotic dark hues, ranging from black to dark gray and shimmering dark green are created in the Pinctada magaritifera pearl oyster. Tahitian black pearl earrings are difficult to create. Due to the wide color range of Tahitian black pearls, finding two pearls with matching dark hues, luster and shape is an extraordinary effort. Yet it’s all worthwhile. Other black pearls retain the fascinating elegance of Tahitian black pearls, despite flaunting a different set of characteristics. Freshwater black pearls and Akoya black pearls achieve their body color either through a complex dying process or irradiation. The same is true for black South Sea pearls. In the controlled environments where pearls are cultured today, that allow for stricter standards and quality guidelines. Each of the black pearl types is beautiful and charming in its own way. The following entry will guide you through choosing black pearl earrings or any other black pearl jewelry according to a few characteristics of the stylish black pearls. Here are the guidelines for choosing black pearls earrings or other black pearl jewelry altogether. 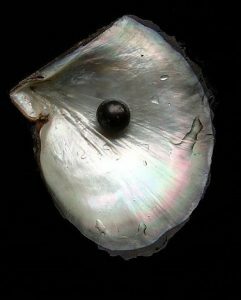 Thickness of the nacre: black pearls differ in terms of thickness. While Tahitian black pearls are bead-nucleated and the nacre is quite thick, Akoya black pearls and freshwater black pearls have a comparatively thinner nacre. As such, a pair of black freshwater pearl earrings will be more fragile than a pair of black Tahitian pearl earrings. Size of the pearl: When it comes to choosing just the right pearls for your loved one, size matters. This applies to all pearls, not just black pearls. However, a black pearl necklace and earring set flaunting Tahitian pearls will be chunkier due to the naturally larger size of these pearls. The larger the pearls, the higher the value. Pearl Luster: For pearls to be considered valuable, luster is really important. The perfect luster is given by the surface of the pearl, ideally unfaulty. The surface of the pearls in a pair of freshwater black pearl earrings may look rougher. Indeed, these pearls may not have the perfect shape, but their baroque beauty is what makes them so appealing. Now that you know how to choose your black pearls, let’s take a look at how to wear them. Black pearl necklaces, black pearl earrings, and other black pearl jewelry add a subtle note of elegance and style to any outfit, whether casual or formal. Despite the subtle charm of black pearls, such jewelry will uniquely stand out. If you’re looking for the perfect outstanding accessory which has the power to add a strong sense of individuality to a casual outfit, don’t look further than black pearl stud earrings. They’re easy to wear, they make the perfect gift for girls and women any age and they make the wearer feel special. A pair of black pearl dangle earrings worn as the single accessory to an outfit composed of jeans and the classic white t-shirt will lend all the charm and elegance of the pearls to the seemingly unspectacular outfit. Black pearl drop earrings. Or black and white pearl earrings. In fact, any specially designed black pearl jewelry staple can complement tailored suits as much as office dresses. The sophistication of black pearls is uniquely fit for semi-formal attires. The versatility of black pearls makes them the ideal accessories for any attire you choose. Black pearl earrings easily transcend the daywear category to complement the most exigent ball gown during a formal evening event. The grace and beauty of black pearls is often enhanced by their pairing with other precious stones. Wear a pair of black pearl earrings with diamonds at the next formal cocktail event and feel like royalty. As natural bits of organic beauty, pearls require special attentive care. Black pearls, just like white or cream pearls are quite demanding. There are a few rules of thumb when it comes to caring for your pearls. First rule: never soak pearls in water. They erode slowly and prolonged exposure to water may bring about considerable damage to your pearl jewelry. A white pearl necklace will show signs of dirt much faster than black pearl earrings. Nonetheless, that doesn’t mean that your black pearl earrings shouldn’t be cleaned. Just as with other pearl types, clean black pearls with a dry or damp soft cloth. Don’t use cleaning detergents or soap. It is recommended that a drop of olive oil is placed on the cloth. This will maintain the luster of pearls and block damaging substances from infiltrating the pearls. ‘Pearls are forever’, said Jackie O. in admiration of the fragile gemstones. Black pearl earrings or necklaces or bracelets make no exception. Whether you are considering black pearls as a gift for loved ones or for yourself, rest assured you are making the right choice. This entry was posted in PearlsOnly Blog and tagged black pearls, black pearls earrings by PearlsOnly Team. Bookmark the permalink.